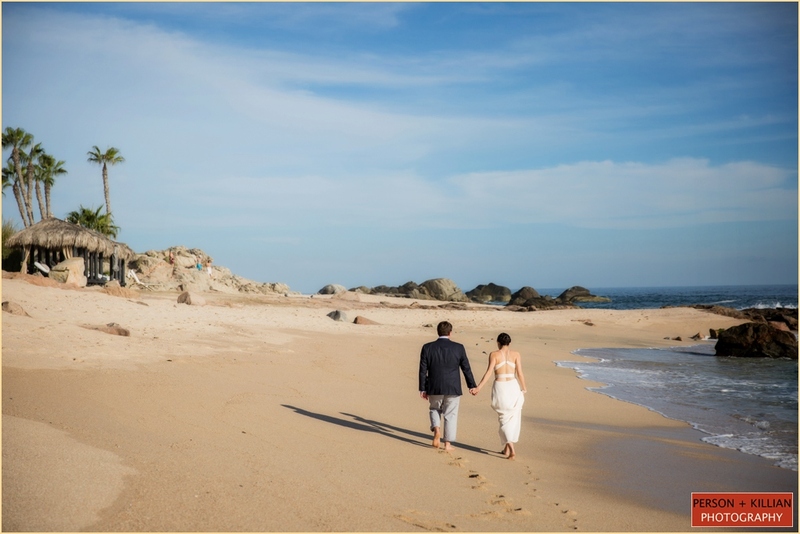 It was a beautiful weekend on the coast of Maine for the destination wedding of Katie and Renzo. The entire wedding took place at the Cliff House in Cape Neddick, ME — positioned right along the stunning rocky waterfront. The wedding day began with Katie and Renzo both getting ready at the Cliff House, each with a private balcony overlooking the waterfront that gave them a wonderful preview of the day to come. 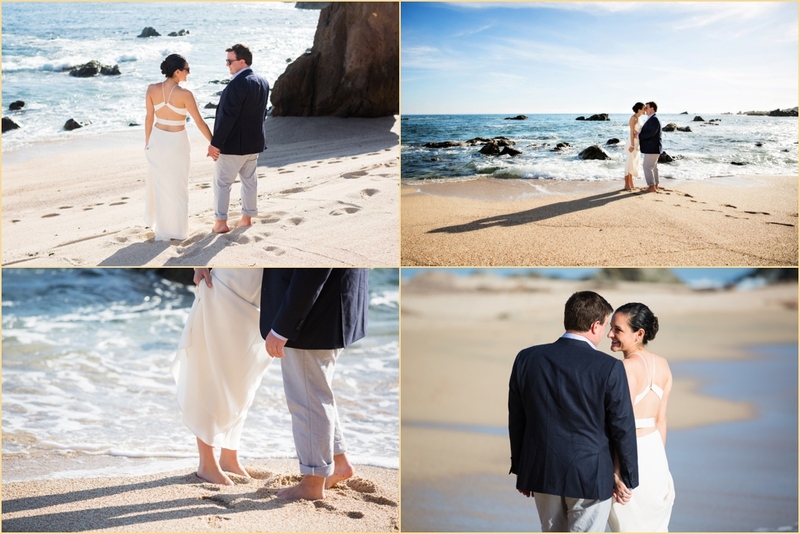 We brought the bride and groom outside to the water’s edge for their first look, and even climbed down onto the rocky cliffs for some spectacular formal photos with the couple. The wedding party soon joined us on the rocks for some group shots that were truly unique to the Maine coastline, then it was back up to the Cliff House to get ready for the ceremony. 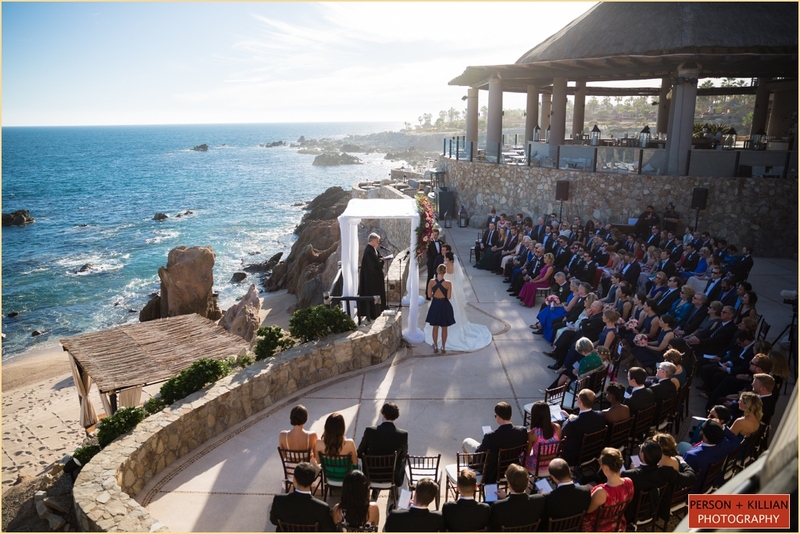 Katie and Renzo became husband and wife on the Cliff House’s garden terrace, which provided panoramic views of the ocean below. Following the “I do”s, cocktails and hors d’oeuvres were enjoyed around an outdoor fire pit as the sun slowly began to set behind the Cliff House. The evening reception was held inside the Cliff House’s Atlantic Ballroom, whose wall-to-wall windows showcased the ocean and coastline outside. Golden orbs of light hung from the ballrooms’ vaulted wooden ceiling, with golden linens, chairs, and warm candlelight on the tables below. This Cliff House Maine wedding was the perfect reflection of the day’s events — traditional and gorgeous, but with a relaxed and easy-going vibe. 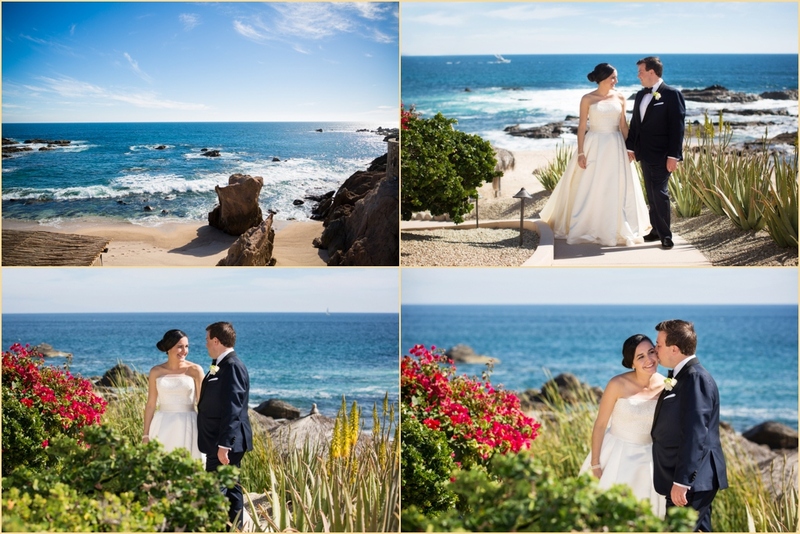 The Maine coastline and sweeping blue ocean made for a perfect backdrop to the day’s events, and we were so glad to be a part of it. Special thanks to event planner Eric Czerlonka, Marc Hall Design, and the entire team at the Cliff House for a truly spectacular wedding day! Congratulations Katie + Renzo and thank you for choosing Person + Killian Photography to document this beautiful day! 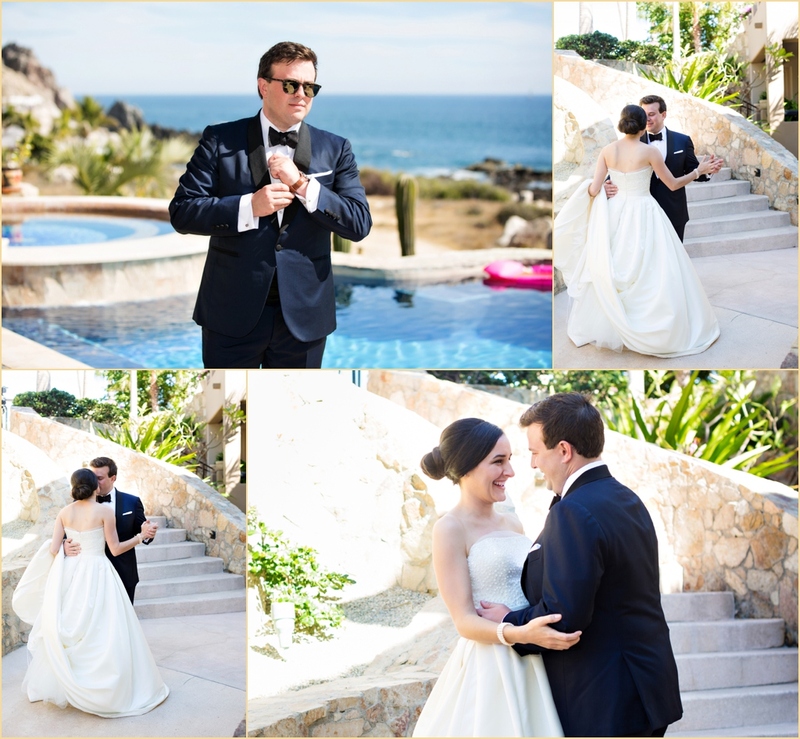 We recently had the pleasure of photographing this luxury destination wedding in Cabo San Lucas of Maria and Kyle. 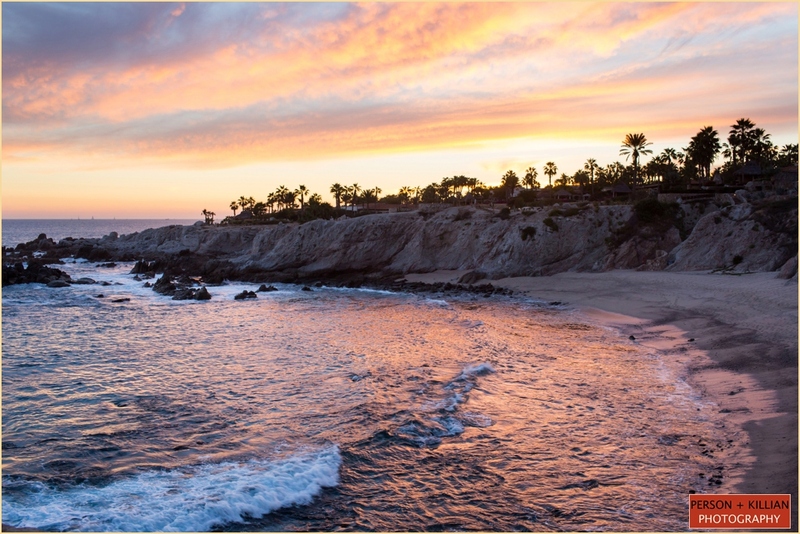 Escaping the cold of our beloved Boston for the sunny Esperanza resort in Cabo was a more than welcome change. Maria and Kyle’s destination wedding was a three-day celebration. We knew we were in for a treat when we learned the save-the-dates came with mini-piñatas. 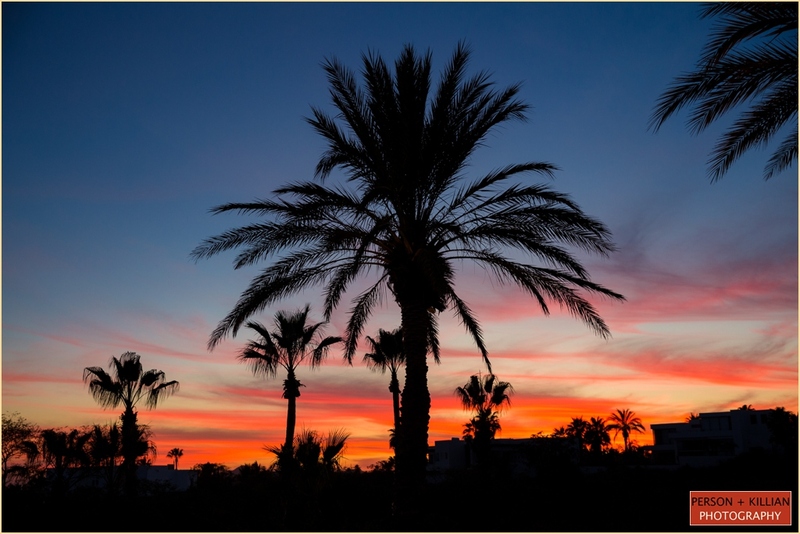 Guests got the full Cabo San Lucas experience in style including a fishing tournament, Superbowl Sunday party and a Welcome event to greet guests. 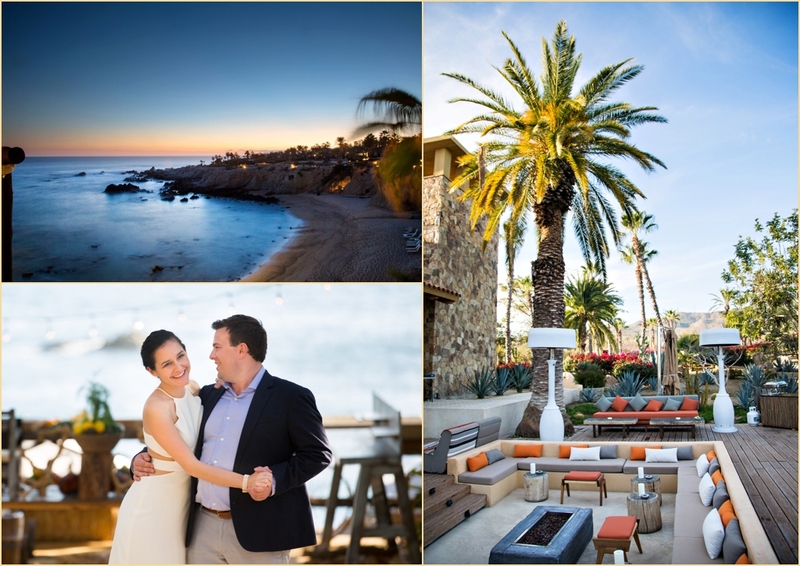 Person + Killian also captured Maria and Kyle’s engagement session while on a pristine and private beach and throughout the resort. Beautiful backdrops in every location. 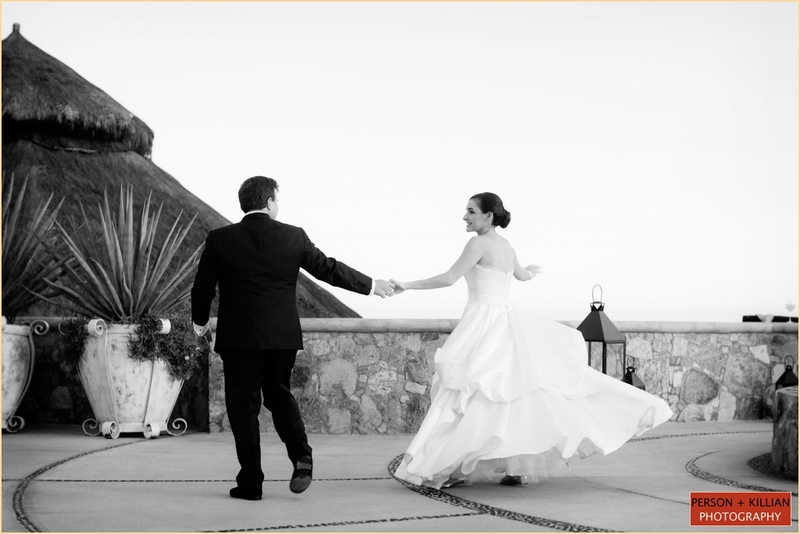 The day of the wedding begins with a quintessential Cabo day with the bride gathered together with her wedding party. The gentlemen were likewise gathered, enjoying each other’s company while putting on their finishing touches. 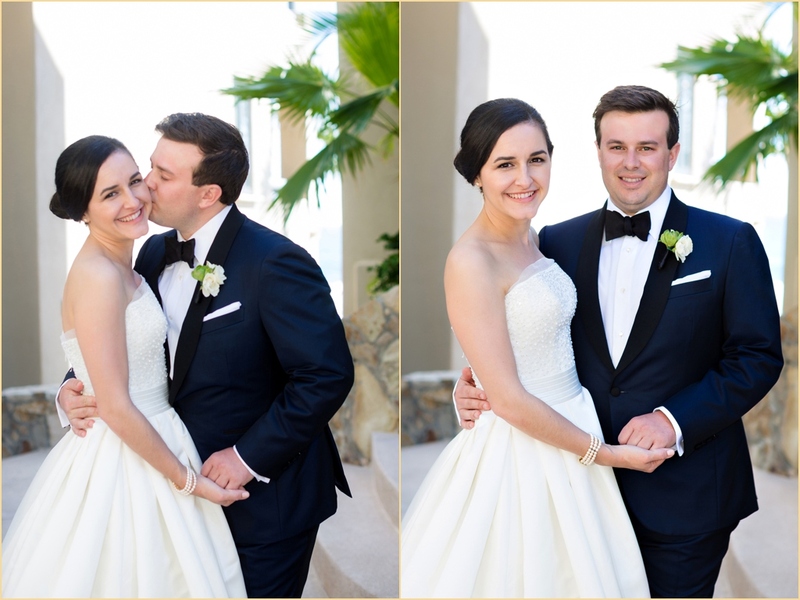 The bride wore a strapless gown in white while the groom wore a crisp tux. Both were timeless and a perfect complement to each other and the setting. 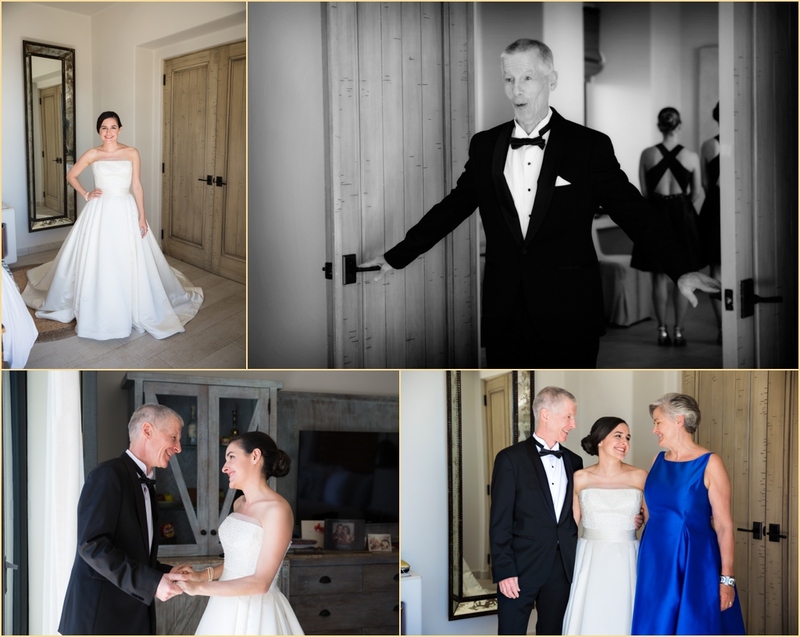 Afterward, we took the time to capture family and wedding party photos before making our way over the beautiful ceremony location. 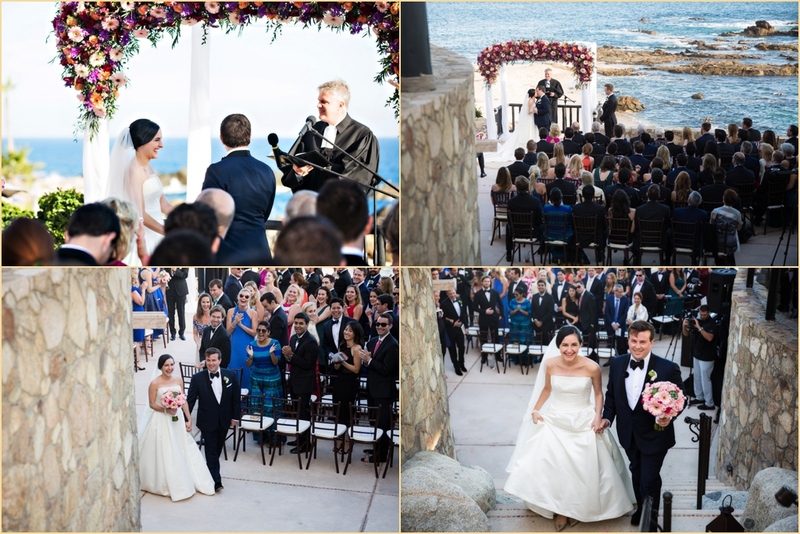 Steps from the ocean, Maria and Kyle had a personal and heartfelt wedding ceremony. The priest who officiated the nuptials traveled from Germany where Maria’s family is from. Especially beautiful, the bride’s brother composed a special piece of music created just for their wedding ceremony. 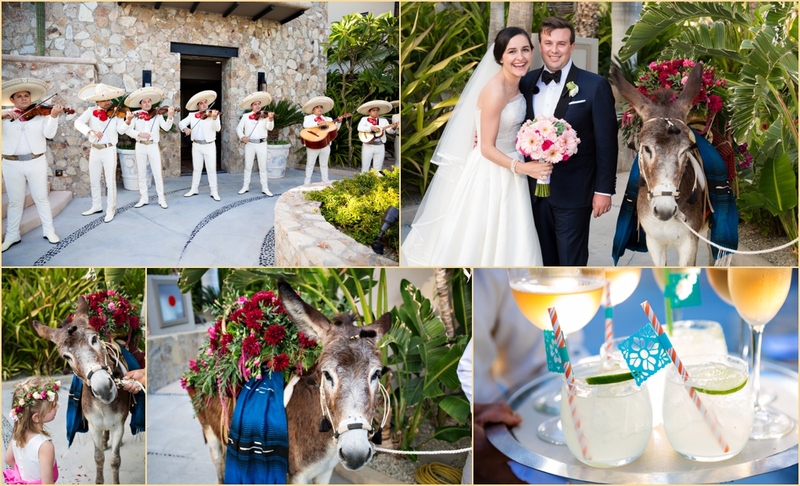 Immediately following the ceremony, guests made their way to a fun and festive cocktail hour complete with mariachi band. While guests enjoyed local food, they also had the unique experience at the photobooth as they got the opportunity to pose next to an adorable donkey. 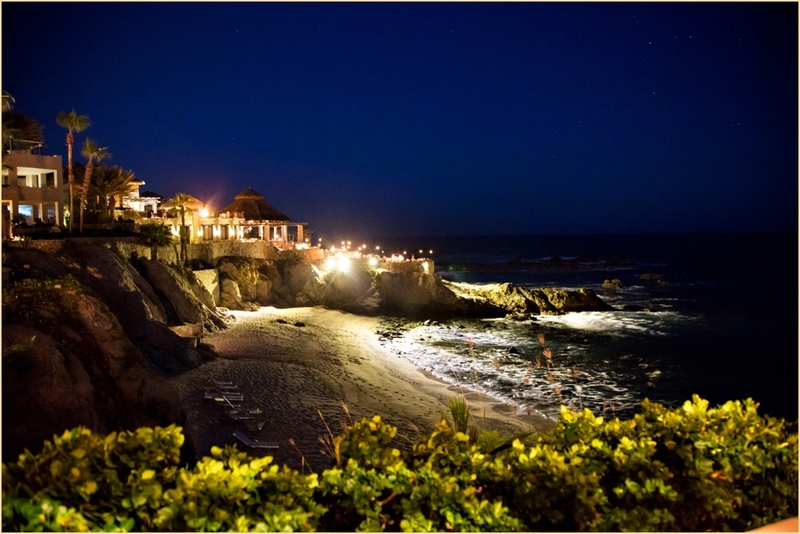 Nestled in the stone walls of the resort with panoramic ocean views the reception locale was grand. 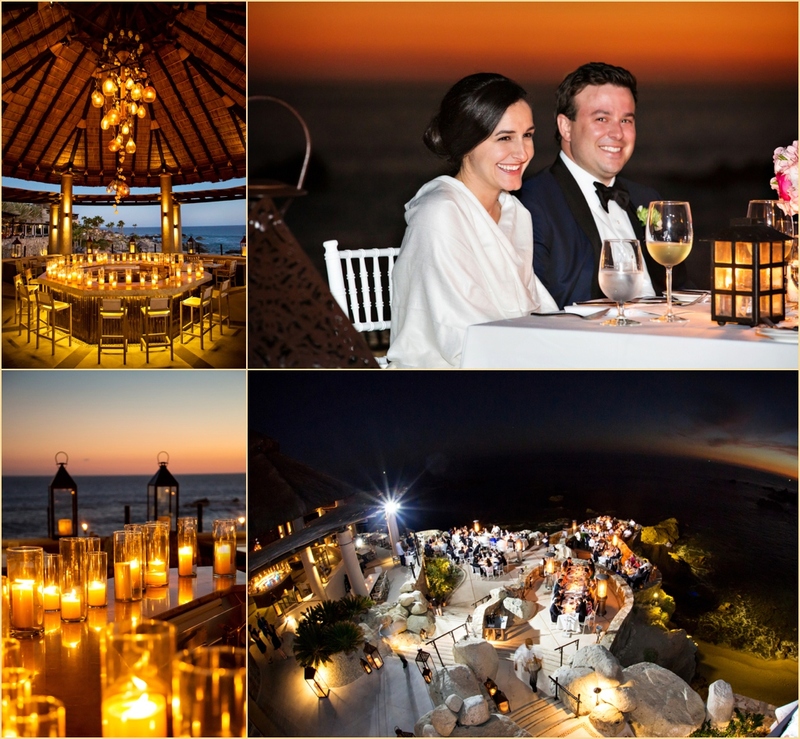 While the sun was setting, introductions and thoughtful toasts led into dinner and a sprawling dessert station. 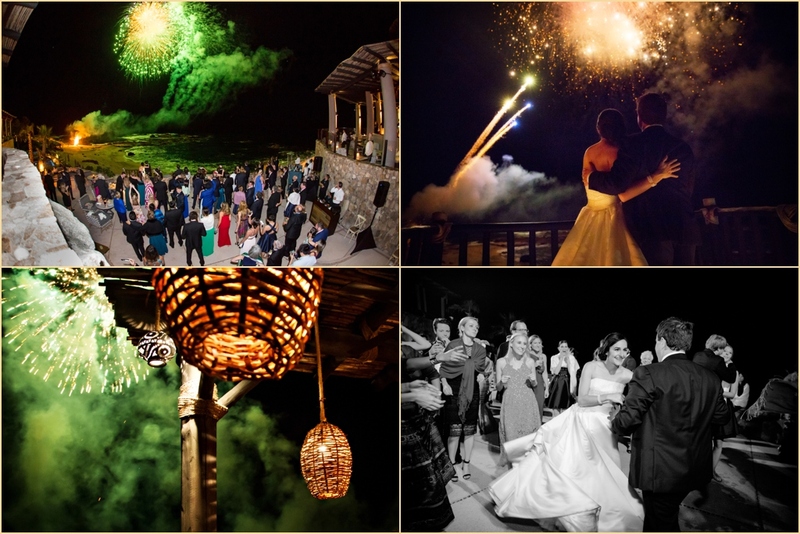 Maria and Kyle’s first dance ended with surprise fireworks – a special gift for the bride from her groom. 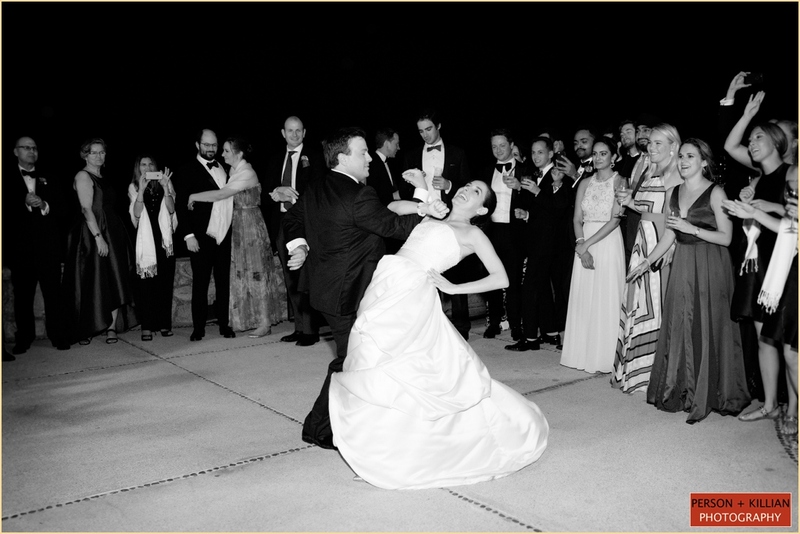 The celebrating continued as the newlyweds danced into the evening, enjoying themselves alongside their loved ones. 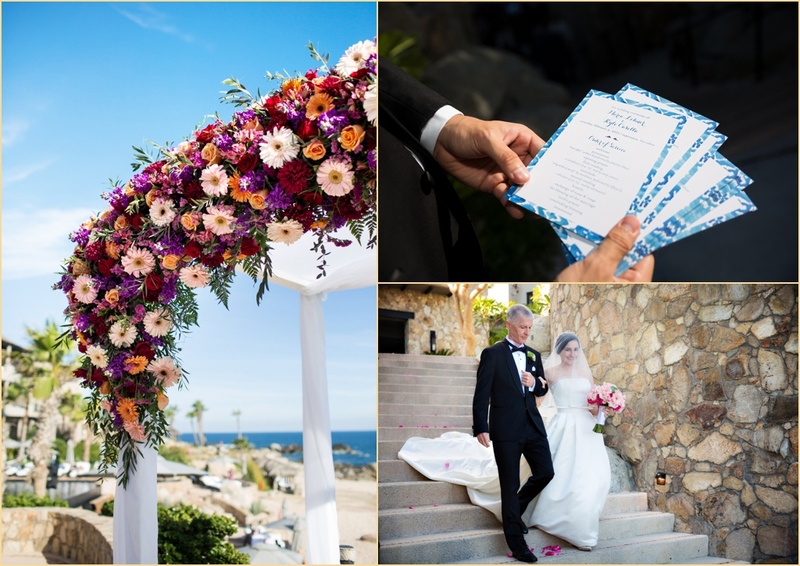 Congratulations again, Maria and Kyle and thank you for including Person + Killian Photography in this beautiful destination wedding. 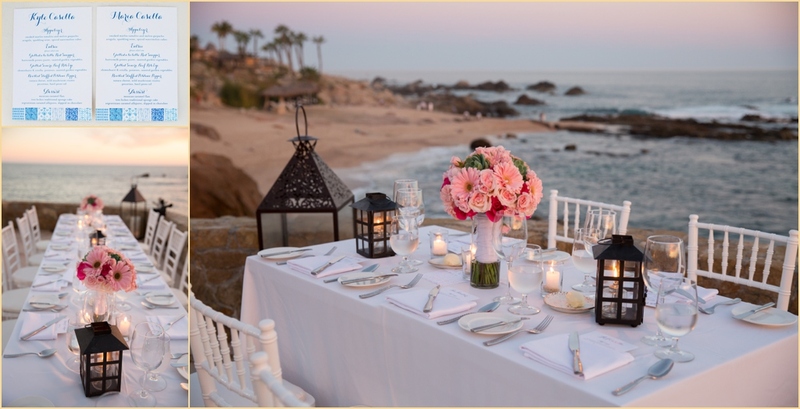 We also want to thank Nicole and her team at Simeral & Co for their expert planning and execution of this luxury destination wedding in Cabo San Lucus and Linda Mitchell over at Luxury Destination Travel for making our travel arrangement effortless. 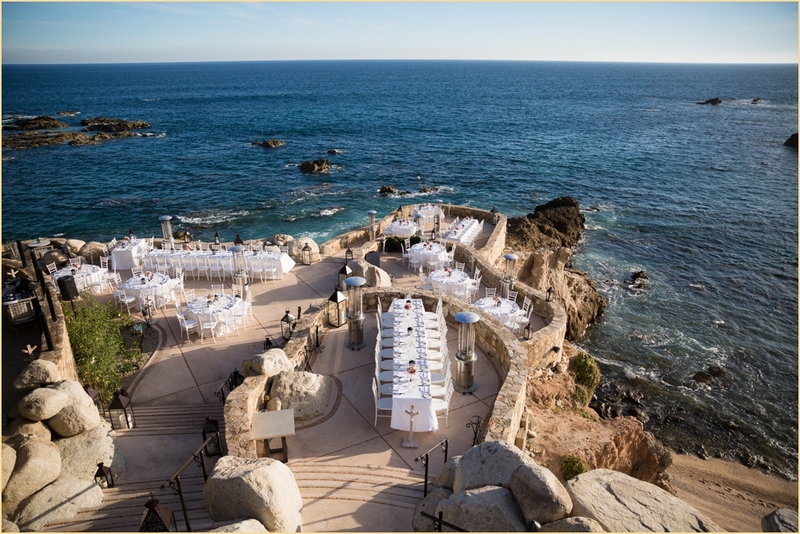 Venue: Esperanza Cabo San Lucas; Planner: Simeral & Co; Videography: City Point Films – Andrew; DJ: Steve Smith; Flowers: Baja Flowers; Invitations: Ruby the Fox – A Paperie; Lighting: Teevan; Los Cabos Tourism; Brides Wedding Dress: Pronovias ;Hair: Senza Salon ; Brides Shoes: Christian Louboutin ; Bridesmaids dresses: Shoshana via Rent the Runway; Grooms tux: Hemrajani Bros. 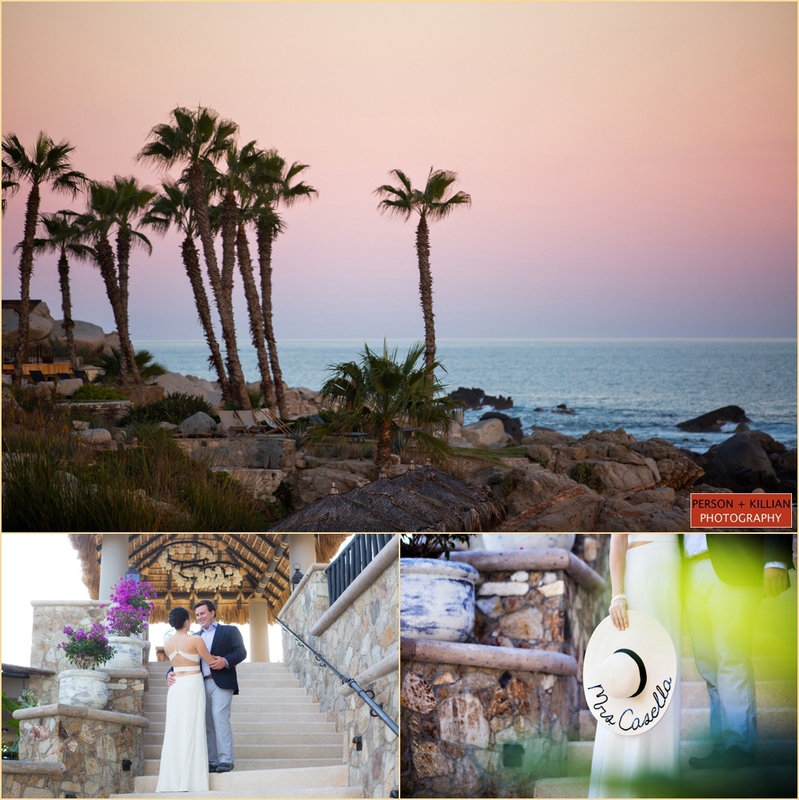 This luxury destination wedding in Cabo San Lucas was located at the Esperanza Resort. Jill Person and Laurén Killian can be reached at www.PersonKillian.com or by email at [email protected]illian.com and [email protected] Other destination weddings are available on our blog. What can we say about Emily and Doug? We LOVE them and this beautiful autumn wedding in the mountains. Emily and Doug met in the White Mountains and have a love of all things rock climbing. The Mountain View Grand Resort and Spa is breathtaking with its panoramic views and exceptional, one-of-a-kind spaces – the perfect locale! While the ladies were putting their finishing touches for the day ahead, the gentlemen donned suits with rope boutonnieres. A sweet bouquet of soft pinks, whites, and greens complemented Emily’s classic lace wedding gown. Because Emily and Doug wanted to maximize spending time with their loved ones they decided to have a First Look against a beautiful backdrop overlooking the White Mountains. After wrapping up formals, we made our way over to the ballroom for the wedding ceremony. Sipping on champagne, guests gathered in the Crystal Ballroom which showcases a beautiful hand-painted dome and restored chandelier. Bringing the outside in, Emily and Doug brought in lots of organic elements to balance the space with a warm natural feel. The wedding ceremony was officiated by Emily’s brother and was personal, sweet and filled with laughter. Immediately following the ‘I do’s’, the bride and groom snuck off for a quick private moment and returned for introductions. While the celebrating continued with cocktails, a serious game of giant Jenga was played. First dances made way for heartfelt toasts and dinner. Opting for a pie-cutting instead, a full spread of delicious pies were on display for dessert. The ensemble of vendors were wonderful to work with including the lovely team at the resort. We are thrilled for Emily and Doug and so thankful to be a part of this day. 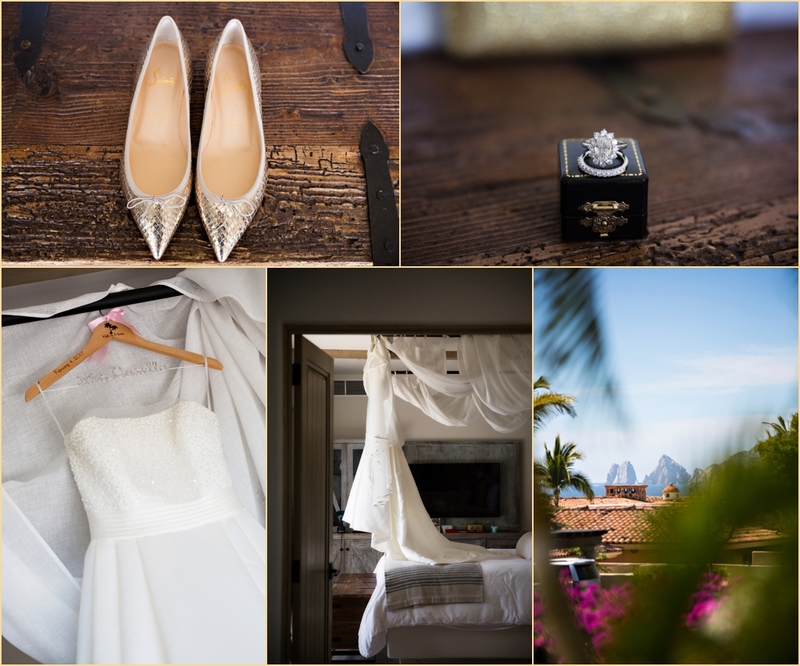 This Mountain View Grand Resort and Spa wedding was photographed by Boston Wedding Photographer Lauren Killian of Person + Killian Photography. Lauren is available for destination weddings worldwide and can be reached directly through her site: www.PersonKillian.com Or via email at [email protected] To see more destination weddings that person + Killian has photographed over the years, please click here.